Since its establishment in 1983 till date, PLC as a wholesale label supplier has successfully offered its services and products to label suppliers, resellers and brokers from all over USA. 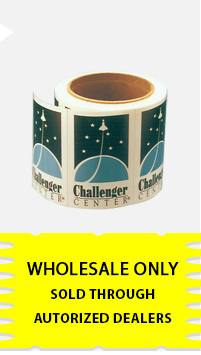 Die cut round labels are one of the various kinds of labels offered by PLC. These high-quality and easily printable labels are available in different sizes, dimensions, layouts and colors to suit varied business needs. We at PLC believe in retraining our customers for long term business partnership, which make us work with complete honesty, sincerity and efficiency. Our easy and convenient way of working attracts customers to work with us. Our service is just a phone call away. Customers just need to make a call and place orders. As we have always valued our customers’ time, we make sure to mention the quotes instantly on phone that helps us and our customers to take prompt decisions with ease. We are known for our timely delivery and sometimes we even deliver before time at the doorstep of our customers without any hassles or delay. Our competitively priced products make sure to fulfill our clients’ business requirements with aptness. Being cost effective has helped our products to reach out to maximum number of customers. PLC is here to offer you its extensive array of die cut labels that will completely gratify your business requirements.